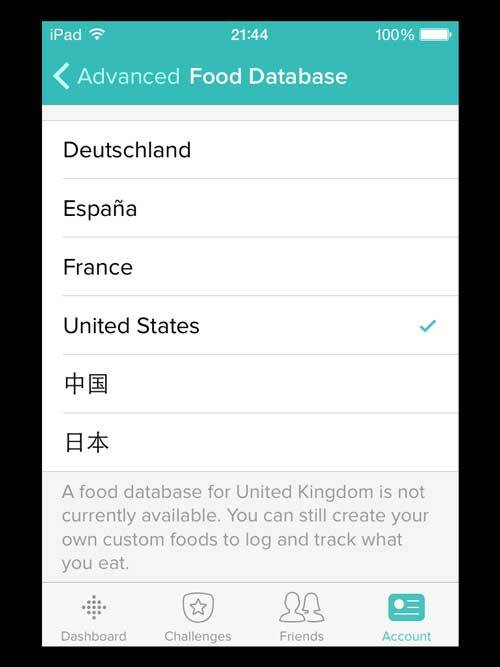 Where is Fitbit's UK Food Database? You are at:Home»Fitbit»Where is the Fitbit UK Food Database? Where is the Fitbit UK Food Database? Wearable tech was one of the must-have Christmas gifts this year, so its no surprise many new Fitbit users are tracking their lifestyle to achieve healthier living in 2015. Exercise is just one piece of the lifestyle puzzle; using the Fitbit app you can monitor sleep behaviour and dietary intake to see the bigger picture. I live in the United Kingdom, where wearables are gaining popularity all the time. Having bought Zoey a Fitbit Flex at Christmas we were surprised to see there isn’t a UK food database to log your diet. What does this mean? Some of the most popular foods consumed within the British Isles have to be logged manually if you want them to be considered in your dietary intake. And believe me, some of the items you would believe as commonplace around the globe aren’t within the USA food database. I’m talking Jaffa Cakes and Lucozade; Premier League footballers swear by them for a boost of energy at halftime. What’s Fitbit’s take on this? I decided to Tweet Fitbit to get an answer. If more of us in the UK are going to use their wearables, we want to be able to track our diets without the hassle of inputting every calorie ourselves. Their response is below. @ShuffleRun The UK Food Database has also been suggested and we'd for you to share your suggestions here: https://t.co/FbXJ0LOEoo. If you want to see a UK food database on the Fitbit app, we’ve got to create demand for it. Sign up to the Fitbit community and vote for this post which already suggests the idea. If more of us request the database, it’ll become a bigger priority for their app development team. As of yet, there’s no word of an official launch so promoting demand for a UK food database is the best we can do at the moment. Just how many calories are in a Jaffa Cake? One Jaffa Cake contains 46 calories, but lets be honest, if I have a packet I’ll smash the whole 12 instantly, so that’s 552 calories. Want to know how many calories are in other UK foods you can’t find? Mention in the comments below and we’ll push to get them on Fitbit.